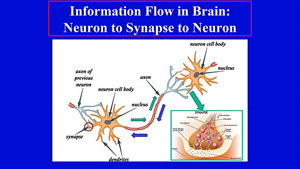 Explore the world of neuroscience and the secrets of the brain. William C. Mobley, Distinguished Professor in the Department of Neurosciences at UCSD, is your guide - interviewing renowned experts and reporting on innovations. Discover how the brain works, technologies to harness brain power, ways to treat disease, and more. 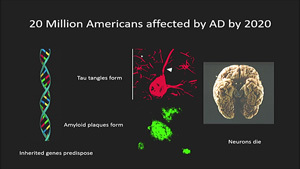 More than 5 million Americans are currently diagnosed with Alzheimer's disease, and that number is expected to triple by 2050, without prevention or cure. 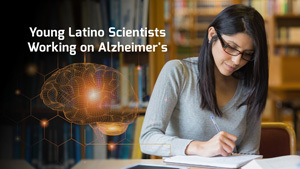 By 2060, the number of Latinos in the United States living with Alzheimer's disease is projected to increase 832 percent from 379,000 in 2012, to more than 3.5 million. Find out what UC San Diego is doing to both serve this community and catalyze the research careers of investigators from underrepresented groups. 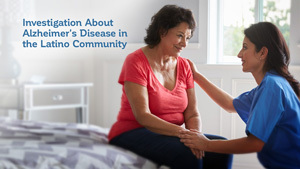 Alex Figueroa and Dr. Jose Soria-Lopez discuss clinical symptoms of Alzheimer's Disease and the need to include the Latino community in clinical research. Este es el primer episodio en español de la Universidad de San Diego California sobre la investigación de la Enfermedad de Alzheimer Demencia en la comunidad latina. En este episodio Alex Figueroa y el Dr. Jose Soria-Lopez conversan sobre los síntomas clínicos y la necesidad de incluir la comunidad latina en investigaciones clínicas sobre esta enfermedad. Se mencionan maneras de combatir la enfermedad y recursos sociales que están disponibles para personas con esta enfermedad y familiares. 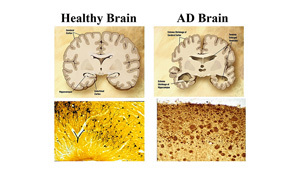 There are different types of genetic influences on people's risk of developing Alzheimer's disease. Douglas Galasko, MD, of the UCSD Shiley-Marcos Alzheimer's Disease Research Center joins William Mobley, MD, PhD to discuss these genes, how they are being studied, and what being a carrier of Alzheimer's associated genes means. Learn more about penetrance and expressivity, genome-wide association studies, and more. How do you model a disease process that stretches out over 20 years in a way that helps you intervene in that process? In the inaugural Shiley Endowed Lecture, Bradley Hyman, MD, PhD shares his research on the progression of Alzheimer's disease. William Mobley, MD, PhD shares the latest research on preventing Alzheimer's disease in people with Down syndrome. He looks at the genetics and progression of both conditions and shares potential therapies to reduce APP expression that leads to dementia. Recorded on 01/27/2018. Michael Rafii, MD, PhD describes the conditions that affect people with Down syndrome including vision issues, hearing issues, hormonal issue, spinal cord issues, sleep apnea, and Alzheimer's disease. He stresses the need for routine medical follow ups with primary care physicians and specialty clinics to make sure all changes in health are addressed. Recorded on 01/27/2018. 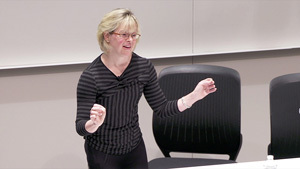 Karen Gaffney, advocate and disability champion, discusses her life with Down syndrome. She also talks about the impact that pre natal testing is having on the Down syndrome community and advocates for medical research to focus on the immediate needs such as Alzheimer's disease prevention. Recorded on 01/27/2018. 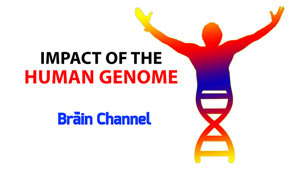 The human genome impacts human health and our risk for psychiatric and developmental disorders. Jonathan Sebat, PhD, Director, Beyster Institute for Psychiatric Genomics, Professor of Psychiatry, Cellular & Molecular Medicine, and Pediatrics, UC San Diego School of Medicine joins William Mobley, MD, PhD to give a brief overview of the human genome, the blueprint to human development. Jonathan Sebat, PhD, Director, Beyster Institute for Psychiatric Genomics, Professor of Psychiatry, Cellular & Molecular Medicine, and Pediatrics, UC San Diego School of Medicine joins William Mobley, MD, PhD to discuss genetics as they relate to autism and how technology can help pinpoint the genes contributing to the disorder. "Basic mechanisms in the brain have universal applications and are the road to medical discovery," says Ralph Greenspan, PhD. 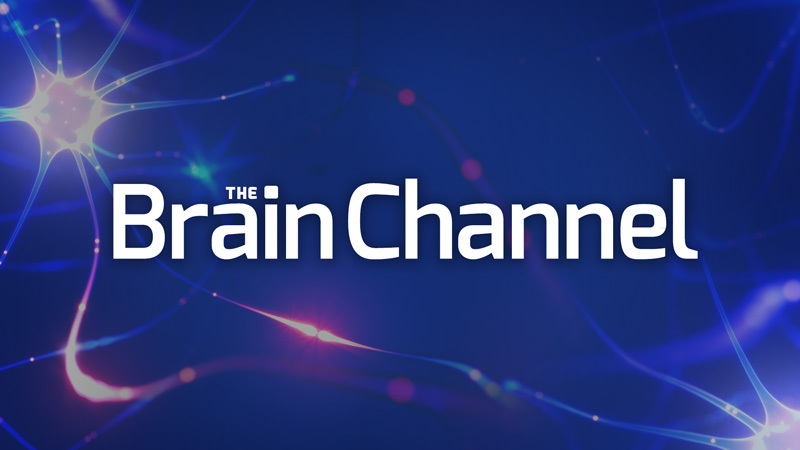 Learn more as he joins William Mobley MD, PhD to discuss how his work creating dynamic maps of brain activity is shedding light not only on brain function but how we diagnosis and treat neurological diseases. 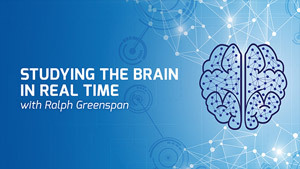 Dr. Greenspan discusses his work with the national BRAIN Initiative, Cal-BRAIN, and discoveries in his lab at UC San Diego. 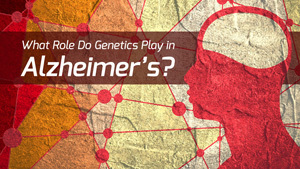 Can we turn off the genes responsible for neurodegenerative diseases? Designer DNA drugs are making this possible. By identifying and targeting the genes that drive disease, scientists are moving closer to treatments for ALS, Huntington's disease, and more. 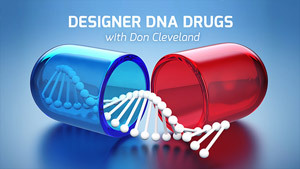 Don W. Cleveland, PhD, Department of Cellular and Molecular Medicine, UC San Diego joins William Mobley, MD, PhD to talk about how these drugs work and how they will impact patient care. Our neurons talk to each other but the language they use can change depending on what is happening in the environment around them. If the brain can adapt to our world in this way, what are the bigger implications? 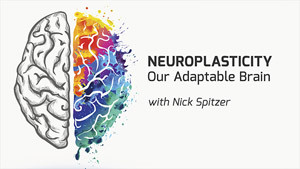 Nick Spitzer, Division of Biological Sciences, UC San Diego, explains neurotransmitter switching and how that process impacts our physical abilities, disease processes, and more. Jeffrey P. Harris, MD, PhD, FACS warns against a significant contributor to hearing loss, exposure to noise. 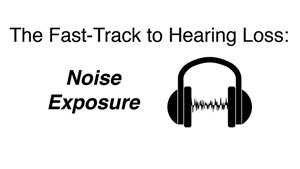 With a little bit of effort we can avoid the devastating effects resulting from noise exposure. What is autism? 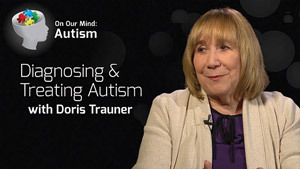 Karen Pierce, PhD, co-director of the UC San Diego Autism Center of Excellence joins William Mobley, MD, PhD to discuss the neurodevelopmental disorder, autism. 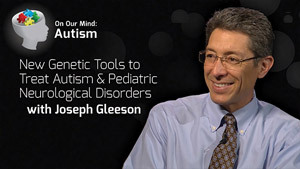 Watch the entire show to learn about the importance of early detection, creating standardized screenings, the search for diagnostic and prognostic biomarkers, and what parents and pediatricians can do to help children with autism. 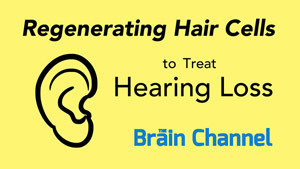 Jeffrey P. Harris, MD, PhD, FACS discusses regenerating hair cells in cases of hearing loss. 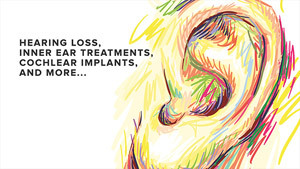 Dr. Harris has pioneered new methods of drug delivery to the inner ear. As a surgeon, he did the first cochlear implant surgery in San Diego county and continues to work with the technology as it advances. 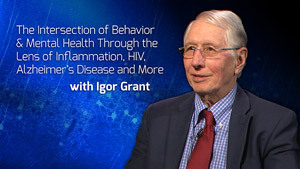 Igor Grant, MD, FRCP(C) pursues research that addresses real world behavioral problems. Studying the intersection of drugs of abuse (primarily methamphetamine) and infection, his work sheds light on the basic mechanisms of injury for people with HIV. He examines inflammation in the context of neurological disorders and measures the impact of chronic stress on Alzheimer's disease caregivers. Dr. Grant joins William Mobley, MD, PhD to discuss his life in science and his fascinating work. Joseph G. Gleeson, MD, Rady Professor of Neuroscience at UC San Diego joins William Mobley, MD, PhD to his work sequencing DNA to find treatments for neurodevelopmental disorders. 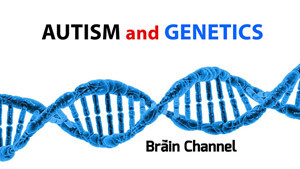 Learn more about using a genetic framework to tease out the individual contributors to autism, why implementing rapid DNA sequencing for newborns can make huge impacts, and more. 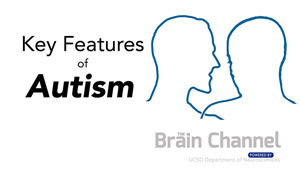 What are the early signs of autism and how is it diagnosed? Doris A. Trauner MD, distinguished professor in the departments of Neurosciences and Pediatrics at the UC San Diego School of Medicine joins William Mobley, MD, PhD to talk about early indicators, the process of obtaining a diagnosis, finding treatable causes, and identifying the most effective interventions.